Huge shout out to our very own Alexia Gordon! 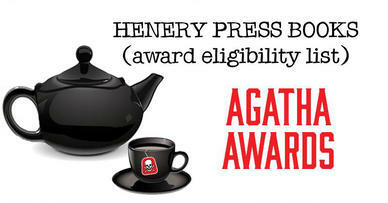 Her debut, MURDER IN G MAJOR, is nominated for an Agatha and a Lefty (Left Coast Crime) award! Alexia’s wonderful novel is also under consideration for an Edgar nomination. So proud to be a Miss Demeanor! Way to go, Alexia!